The Ninja Mod adds a new class to Puzzle Quest, the Ninja, as well as a new items (such as the katana), a new story and some balance changes to make animal companions more useful. 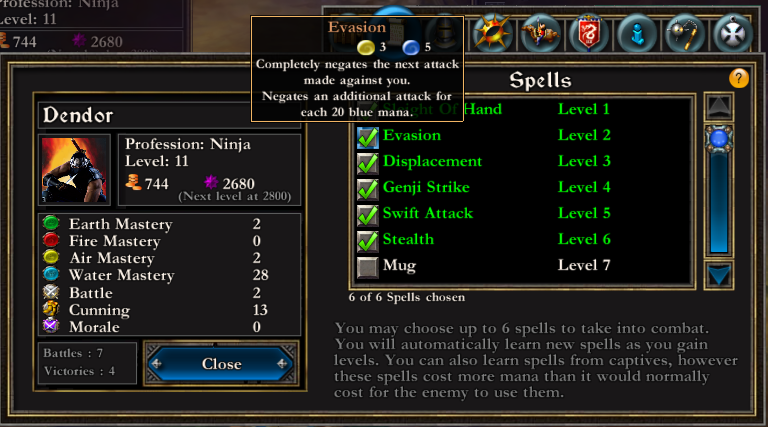 The Ninja class has 20 completely new spells. To install this mod, follow the instructions outlined in the readme.txt file. The Ninja class is designed to have its own unique playstyle; your skills allow you to manipulate the board to set up powerful combos and then finish your opponent in one deadly strike. In the true Ninja style, you'll carefully prepare the battlefield, plan your moves and then eliminate the opponent before he gets a chance to react. As a Ninja, you can't expect to win with brute strength; your low HP makes you fragile, so you'll have to rely on Evasion. Skills like Sleight of Hand and Displacement will help you set up 4s and 5s of a kind. Once you've built up a good amount of mana, you can go in for the kill with Stealth and a few +5 skulls, or you can end it with a flurry of Swift Attacks. Your playstyle will vary wildly depending on which skills you choose to focus on. You might build a strategy around Alacrity combos into Swift Attacks, or you could go for Stealth with Evasion to dodge. Your level 10 spell, Katamari, is a strategy in itself; if you can build one good Katamari, you'll usually be able to combo your opponent to death. This Puzzle Quest Mod was made by editing the game's assets and LUA scripts. 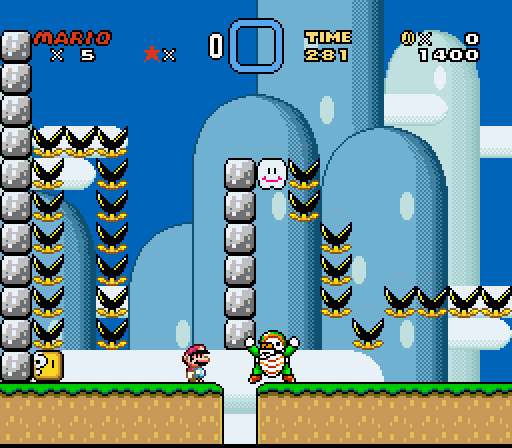 Super Mario Tabarnak is a romhack of Super Mario World. What this means is that it looks and feels like Super Mario World, but with completely different levels. Various new features have been added, such as switches that fill the level with water and blocks that launch you in various directions. Super Mario Tabarnak follows a trend in Mario romhacks that says "let's make the game as hard as it can possibly be". In effect, this turns the game from a typical platformer into a puzzle game, where the player has to examine each part of the level and carefully plan a way to get through the multitude of obstacles. This is made possible by the emulator's functions, which allow the player to save and load anywhere as well as rewind the game. I made every level using Lunar Magic, a tool for editing Mario levels. Several modifications were also made by directly editing the ROM in a hex editor, changing values and inserting ASM code.